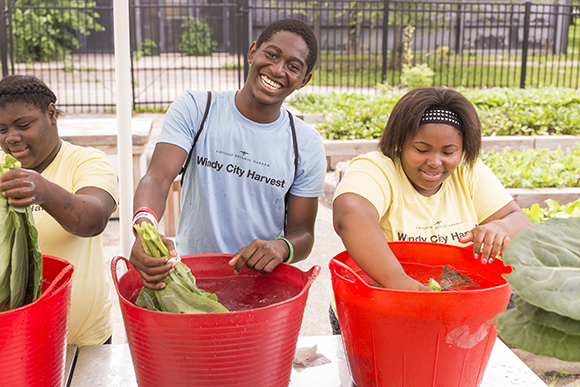 All the possibilities for the Obama Library plus our Windy City Harvest Youth Farm are featured in the Chicago Tribune today! Read about it in Community groups pin hopes on Obama library (PDF). 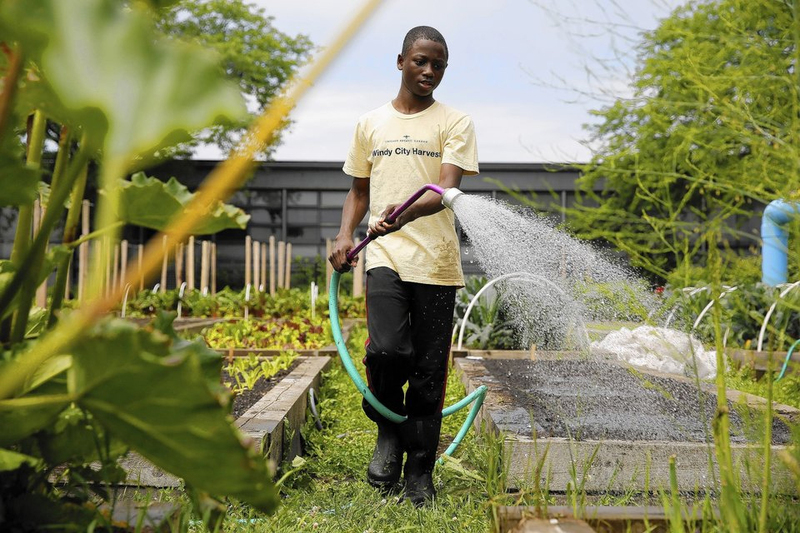 Oluwapelumi Ajayi, 15, waters vegetable beds at the Chicago Botanic Garden’s urban farm in Washington Park last month. Sophia Shaw, the botanic garden’s CEO, hopes the Obama presidential library will settle on the South Side and include a garden.